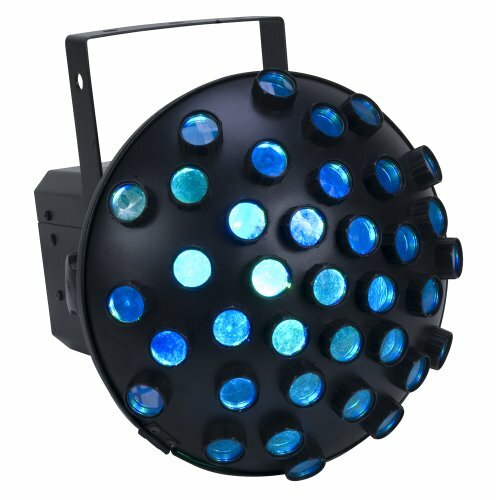 The Eliminator Lighting Electro Swarm Is A Led Mushroom Criscross Beam Effect Light Show That Has Six 1 Watt Led, 2 Red, 2 Blue, 2 Green Which Rotate and Flash To The Beat Of The Music and Create A Unique Lifght Show. Perfect For Any Venue and Has No Dutty Cycle. On the back of the Electro Swarm there are two dip switches that must be in the on position to run in sound active stand alone mode. When set to the off position they will run in the slave mode and wait for a signal from the master unit. If you have any questions about this product by Eliminator Lighting, contact us by completing and submitting the form below. If you are looking for a specif part number, please include it with your message.